“I went on Twitter and said, ‘Are there any blogeros and blogeras out there? 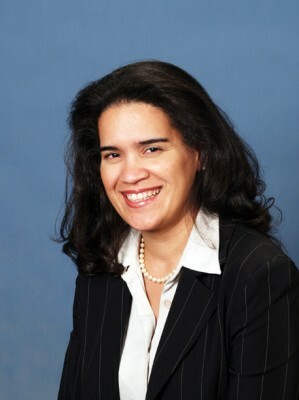 We’re looking for you for a project,” says Ana Roca-Castro, founder and chair of LATISM. But, to be accurate, even without LATISM, Roca-Castro is one to watch. Besides launching her own company, Premier Social Media, the digitally savvy entrepreneur’s résumé is filled with impressive accomplishments: she’s overseen the implementation of the Oracle ERP System for the United Nations (while pregnant); developed a safe social networking site for diplomats and ambassadors; and created more than 50 Facebook/Myspace applications, 68 iPhone and Android apps, more than 100 widgets, and over a dozen Twitter applications. Besides the UN, Roca-Castro’s clients include Toshiba, Walmart, FedEx, The World Bank, and Nickelodeon. She’s a bona fide social entrepreneur, and her activities have created more than 200 jobs in the social-media industry. Roca-Castro is also the mother of four, a topic she blogs about on her site, Kids Fun Plaza, (her profile there states she is a “proud Latina, mother, and wife”). But let’s get back to LATISM. After that serendipitous start in 2009, Twitter parties followed, as did a series of conferences. Now, LATISM, on a typical day, receives over 2,000,000 Twitter impressions. Roca-Castro attributes its success to a desire among Latinos to be better represented in the new-media space. Since its inception in May 2009, the organization’s cyber parties have developed into forums where more weighty issues are discussed: health, education, and current affairs. The nonprofit also gives back, with more than 160 scholarships already granted to bloggers from New York, California, New Jersey, Florida, Chicago, and Texas. At press time, LATISM was also involved in a sustainable-development project where the organization was building a cyber room on the border of Haiti to enable artisans to sell their products online. As a developer and community-management professional, Roca-Castro finds the chance to have a conversation with the online community an exciting prospect. Companies that are a little more reluctant can go the route of finding a brand evangelizer to do the marketing for them—just find them online. “Brands pay so much money for market research about their products, and now they can just open Twitter and find immediate feedback for free,” she adds. Roca-Castro also has a “particular passion for education and engagement” through transmedia, which she describes as “the bridge between new and traditional media.” Transmedia is popular with Hollywood, where a website, Facebook page, and a video game are created to accompany a film release, creating multiple platforms where the audience can continue the experience. • Listen to the conversation—I can’t stress that enough: Listen first before you jump in and start preaching. • Join the conversation: Don’t be afraid to talk, think, and share. • Be genuine: Be yourself; people will accept you. Social media, Roca-Castro predicts, will be led by those that listen most closely to the conversation, and tailor their offerings accordingly.